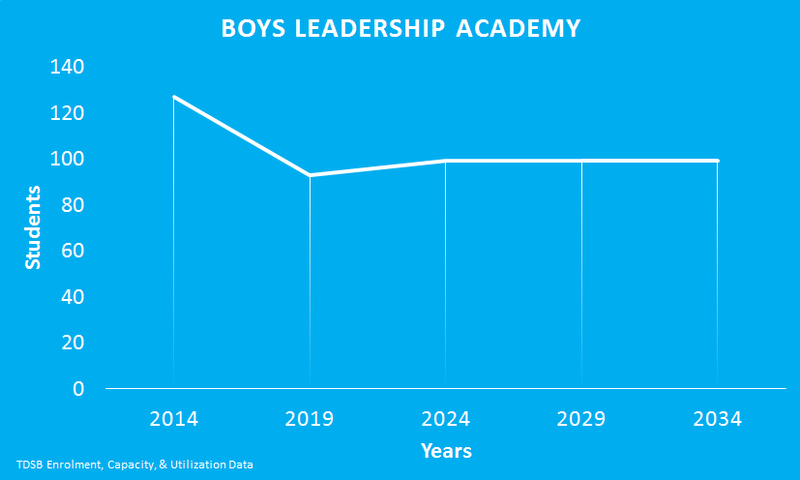 The Boys Leadership Academy is currently overcapacity. The TDSB projects that the school’s enrolment will decline over the next 20 years. The Boys Leadership Academy shares a building with The Elms Junior Middle School (331 students).